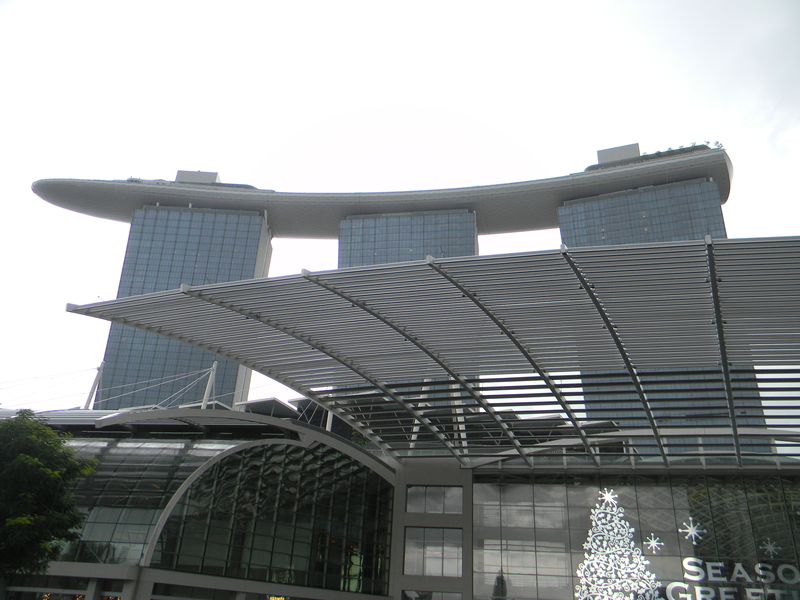 We went downtown yesterday looking to find the boat in the sky, the new Marina Sands hotel. It is a very unique looking structure, and given its placement at the south end of the city overlooking the harbour, impossible to miss. Getting to it is a little tricky at the moment, which is very unSingaporean. Everything in this city is easy to get to. But the new MRT station is underway, so by the time you get here, it should be just fine. Before we went to the top we took a look at the city from the harbour side. Like many places in this very people-centered city, there was plenty of room on the deck for a nice look around. The bay is filled with balloons that are due to be launched tomorrow night and become part of the light show. It is hard to get in the panorama in a single shot, each aspect of the view has its own particular highlight, but the city planners are taking a great deal of care to preserve the old while developing the new. The overall impression is very pleasing. The tour of the top was expensive, so we rode up to the skybar instead and tried to book a table. That was a no go as well, but we did get a chance to have free look around and snap a couple of pics. The view of the city is spectacular, the view of the harbour less so as that side is still under construction. The casino was also a bust as you need a passport to get in. For Singaporeans it costs 100 bucks an entry and 12 thousand for a year. We took a bus and a walk and ended up back in Chinatown for suppertime. We opted for Thai food and a marketstall seat. The place was hard by the temple where songs were being offered for the dead. The square outside was filled with men playing checkers, seriously intent on the outcome. The stalls were filled with silk and batik, enamelware and incense. It was a feast for all the senses. After a short tour we caught the MRT, about three minutes away. Tomorrow is our last full day in this wonderful city. If you have not had a chance to have a look, do put it on your bucket list. 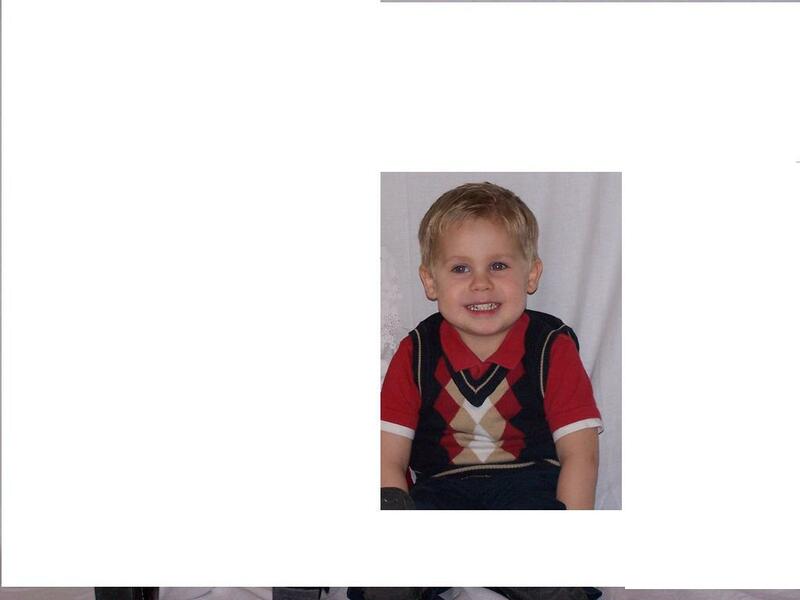 Ben is lot like his Dad: he likes his toys, he is curious about the world, and he loves his sister. With any luck (not that luck has much to do with it) he will turn out as well as his Dad did. His Dad had the great good fortune to have as his Mom an astoundingly good mother. I was – and am still – in awe how how thoroughly and how naturally Pam cared for our kids when they were young. She seems to have been especially gifted and blessed in that role. She was so comfortable and so competent; it seemed like nothing our kids ever did surprised or dismayed her. As a result our kids grew up without pretense or artifice, naturally caring, naturally kind. Nicole is a lot like that. She thoroughly enjoys being a mom, and she is natural and comfortable in that role. We are delighted that she is pregnant and look forward to the birth of this new baby in May. That’s fantastic news, because she is great Mom. Jon is no slouch in the parenting department either, so both of their children are fortunate. Ben is a lucky boy to be growing up in such a loving family. He doesn’t know that now, of course. He just takes as a given the wonderful world that he sees around him and thinks that the whole is like that. I have taught for 35 years to some desperately poor and neglected children. The world is not like that. Ben is a lucky little boy, although given his parent’s faith, blessed would be a more appropriate word. We wish him all the best on his birthday and hope that he likes the little gifts we sent him. We seem to have found a Chinese emphasis today. Not hard to do in this predominantly Chinese city. 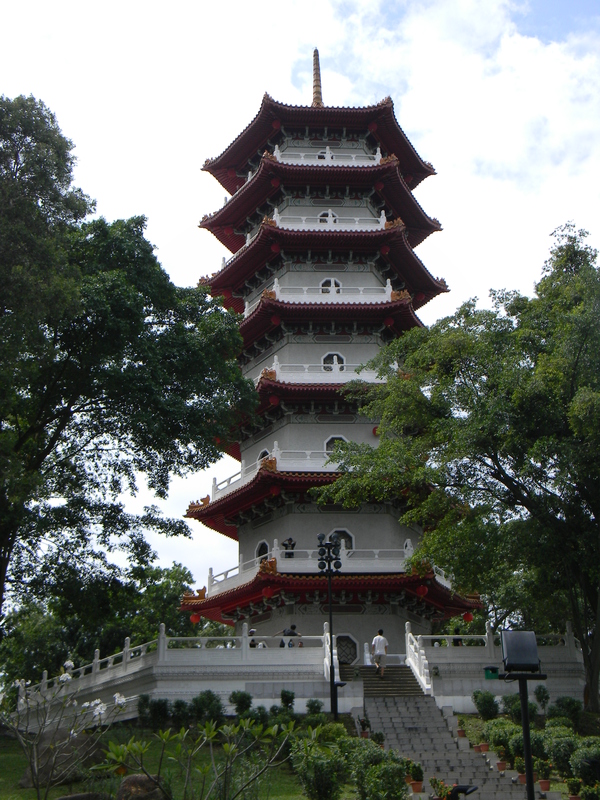 We started off at the Chinese Garden, had a late lunch at a Chinese food court and finished off with a tour of the Chinatown district. No, we are not going to round off the evening with a Chinese movie; that would be altogether too much boxing on Boxing Day. 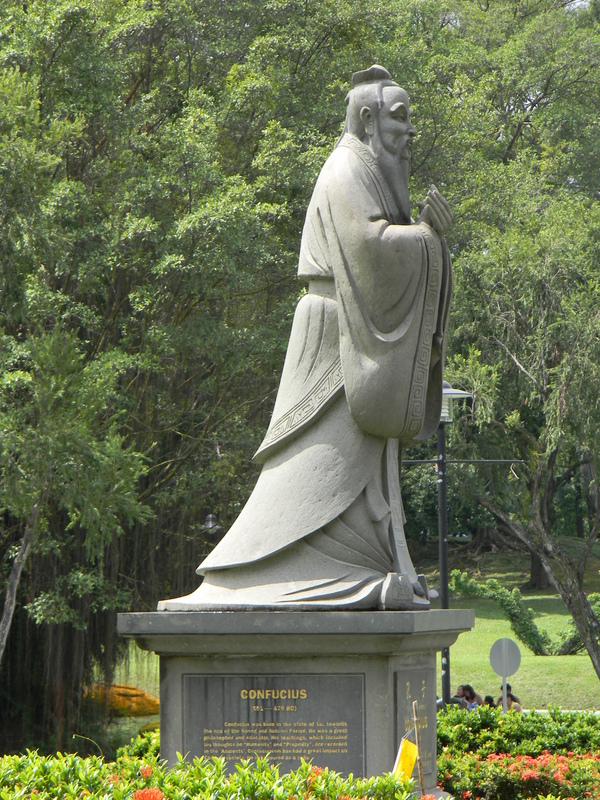 Chinese Garden is just one of the many gardens in Singapore, and one that we hadn’t had a chance to see before. It was not hard to get to on the new Circle Line, and we went the long way around through the north of the city, as the subway runs almost entirely outdoors through that end of the loop. A short walk brought us to the entrance, and despite it being both Sunday and a holiday, it was not crowded. We walked past, but not up the many pagodas, and past the garden of heroes, featuring statutes of Confucius, Melan and Zheng He, who commanded the largest fleet ever put to sea, which was utterly destroyed at his death, putting an end to China’s brief flirtation with world trade, mere decades before the Portuguese rounded the Cape of Good Hope. 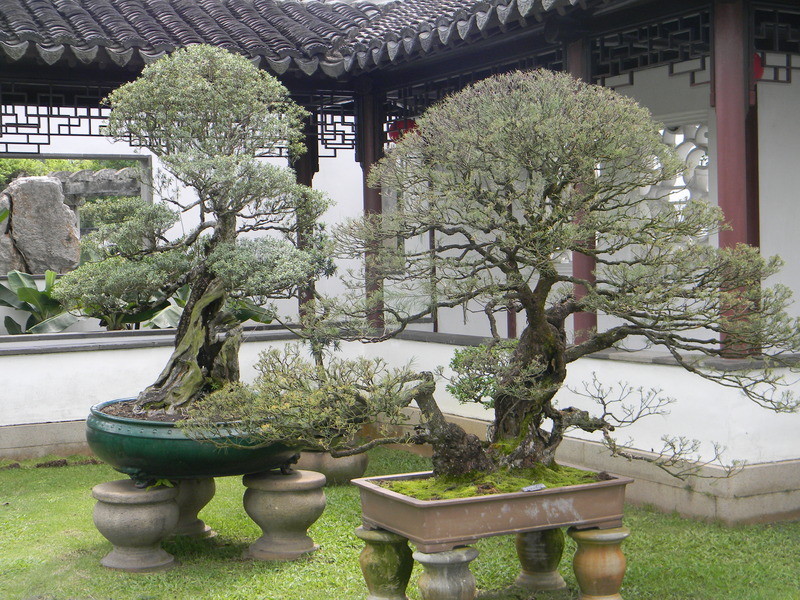 Our favourite corner was the Bonsai Garden, a delightful arrangement of the small ornamental trees that was a delight to the senses, both visual and aural. Asians have a highly defined sense of both the beautiful and the peaceful and their land- and soundscapes are refreshing to the spirit. We counted ourselves fortunate to be caught in a brief rainshower so that we were forced to linger and be still in the shelter of their graceful colonnades while we soaked in the serenity of those gardens. We had started late, so it was three by the time we left and much past lunch. 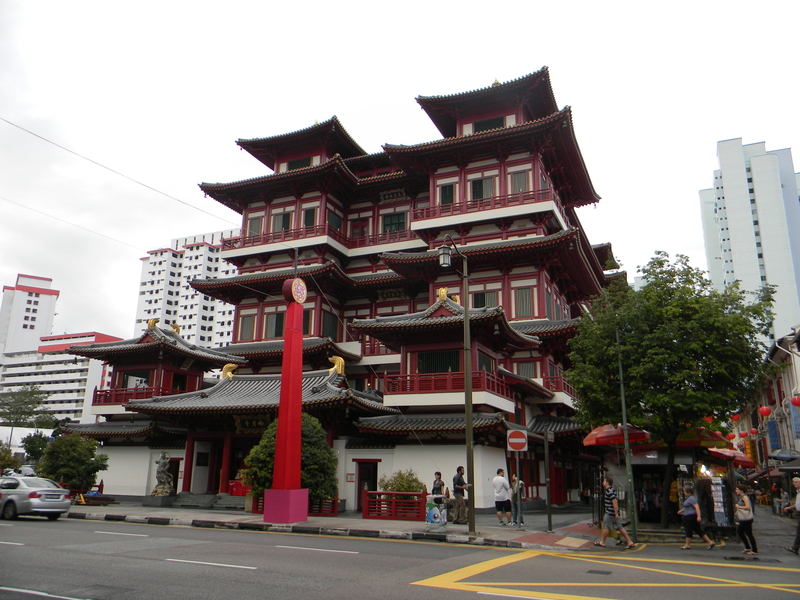 But foregoing the local stalls, we caught the MRT to Chinatown and a foodstall that we knew of for some decent street food. We were not disappointed with the massive portions of yummy Asian dishes for less than three bucks each. Thus fortified we began a long overdue exploration of the area. Chinatown in a Chinese town may seem like overkill, but the name simply designates the original portion of this Chinese population in this once British colony. The crooked little houses on the crooked little streets haven’t changed much since the days of Joseph Conrad and Sir Stamford Raffles, but they have become fashionable and trendy, and are now the clubs and pubs of this upscale part of town. 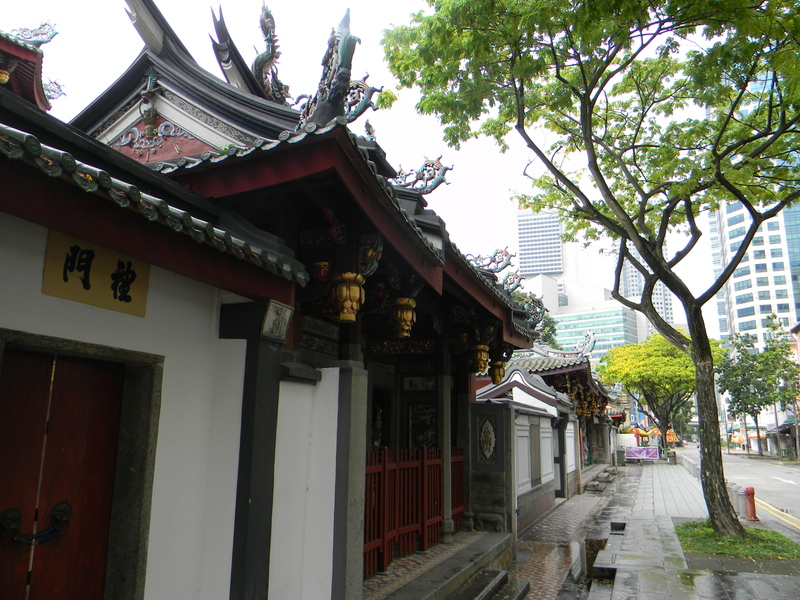 The area, like everything Singaporean, was clean and well signposted, with parks, temples and public spaces all thoughtfully mixed with local shops. Having had a good look around and marking out a couple of spots for a later, more extended visit, we caught the local MRT back to our neck of the woods to rest our weary feet – okay my weary feet – and relax in front of the telly for the evening. St. Andrew’s Church is Singapore’s oldest Anglican church, a lovely building located on Beach Road, so presumably at one time it fronted the water. 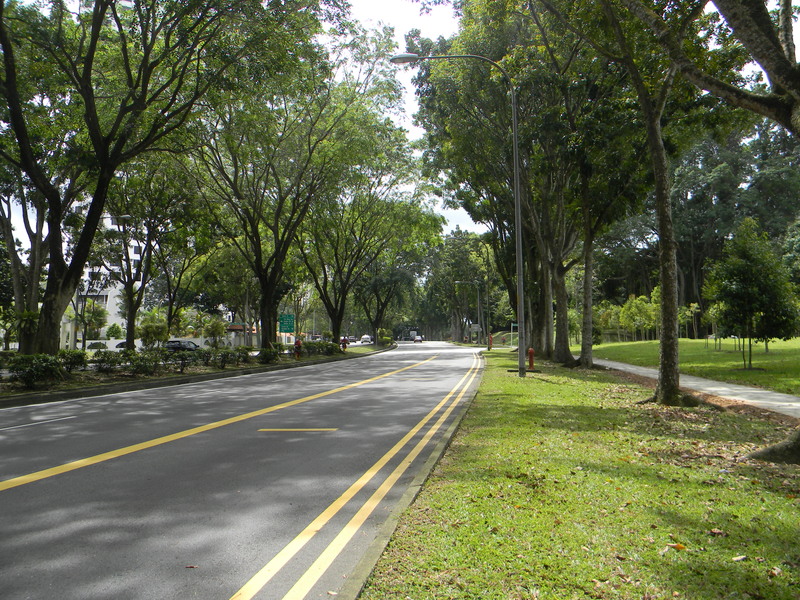 The way that Singapore has added to its territory through landfill means that it no longer does, but it is still surrounded by park and has a serene and peaceful atmosphere. We decided to attend the Christmas Day service there. I was baptised and confirmed in the Anglican church, as was my brother and sister. If you were British in the time we were born, that was standard practice. So I am well familiar with the liturgy and the book of Common Prayer that Anglicans follow. Pam and I have attended mass at Lincoln Cathedral, and know all about the incense and the processionals. There certainly is a place for such ritual and tradition within the large body of diversity that is the church of Christ on earth. But we did not expect the emphasis on salvation and a personal connectedness to Christ that we found at St. Andrews. The message was one that any evangelical would have been comfortable with. And wonder of wonders the service was going to be followed by the baptism of adults by immersion! The Christian church in Asia is full of surprises. We had two delightful Skype calls with our children and grandkids that morning, and encouraged by a suggestion by Greg, decided to have a look at ‘the world’s largest fountain’ which happened to be close by and which turned out to be completely underwhelming. A short hop on the MRT got us back to the condo where we are staying in time for a wee kip before dinner at Su Min’s. Su Min and his wife Sing Yu (Chinese women rarely take their husband’s name) are doctors who have retired from their practice in Singapore. Su Min is part of the leadership team in Pam’s Cambodian ministry. They were gracious enough to invite us to their family Christmas meal. 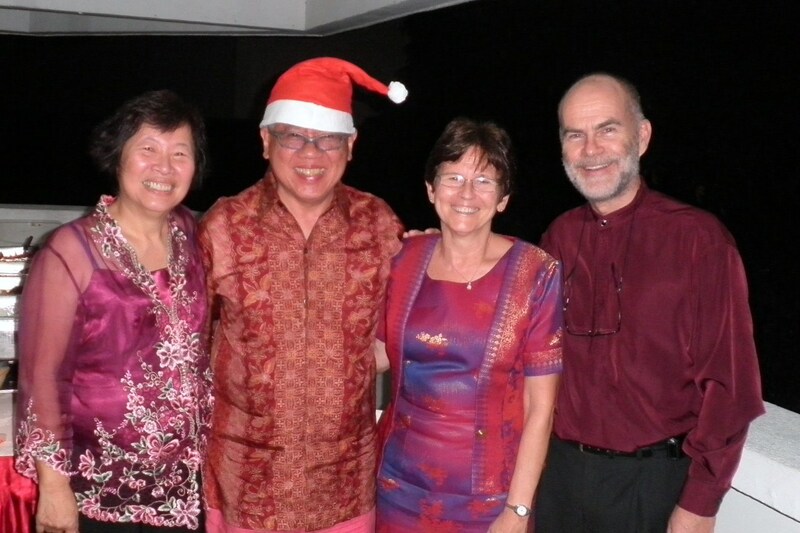 There was plenty of food and lively conversation, in my case it revolved mostly about the political situation in China and Singapore since that is my particular interest, and then a time of singing Christmas carols. It was a blessing to have celebrated the birth of Christ with Asian believers yesterday, and we are grateful for God’s good hand in our lives. Technology has allowed to remain close with our family back home. We do miss them of course, but their greetings and especially the blessing of seeing their happiness is a great and meaningful joy. Have a great Christmas Day, wherever you are. Orchard Road in Singapore is like Toronto’s Bloor Street or New York’s Fifth Avenue or London, England’s Oxford Street. It is a wall to wall shopping extravanganza, and at this time of year is all dressed up to the nines and absolutely packed with people. Pam and I went down there last night to see the lights, stoll along the avenue with the crowds and get a bite to eat. We had spent a couple of hours at the new TWR office visiting with staff and participating in their open house and dedication service of the new space. They had a lovely potluck lunch with lasagna and scalloped potatoes, roast beef and gravy, a nice time of fellowship and a gift exchange. It was good to vist with them, share in their celebration and discuss a few plans for projects in the new year. 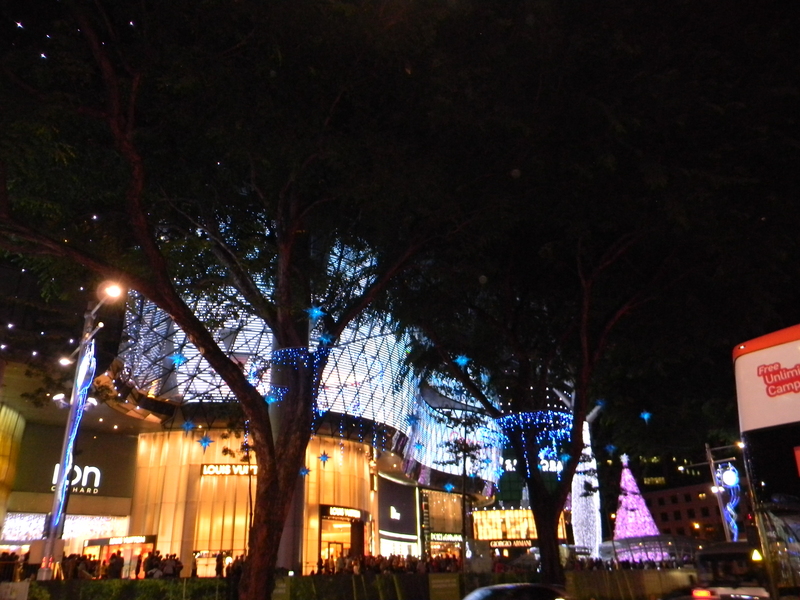 Orchard Road is delightful and pretty, but there is no place to have a nice meal. You’ve got to explore the little alleys and cul-de-sacs that lead away from the street to find a decent place to eat. After a couple of false starts, we found a lovely spot that offered some great Indian food – our favourite cuisine – and had a very pleasant evening under the stars with a warm breeze coming in off the Straits. Just shy of midnight we packed it in and caught the MRT and bus back home to Blossom and McDaniel’s place and were up early this morning, Christmas Day, to get in a couple of Skype calls with our kids and grandkids. Now we are off to church at St. Andrews, Singapore’s oldest Anglican church, for their Christmas Day service. We wish all of you, family and friends, a very warm and mellow Christmas. May you all be encouraged in your heart by the love of those around you this day, and may Christ dwell in your thoughts to bless and light your way in the year ahead. Thank you for your continued friendship and your interest in our lives as we seek to serve the Lord in Asia. 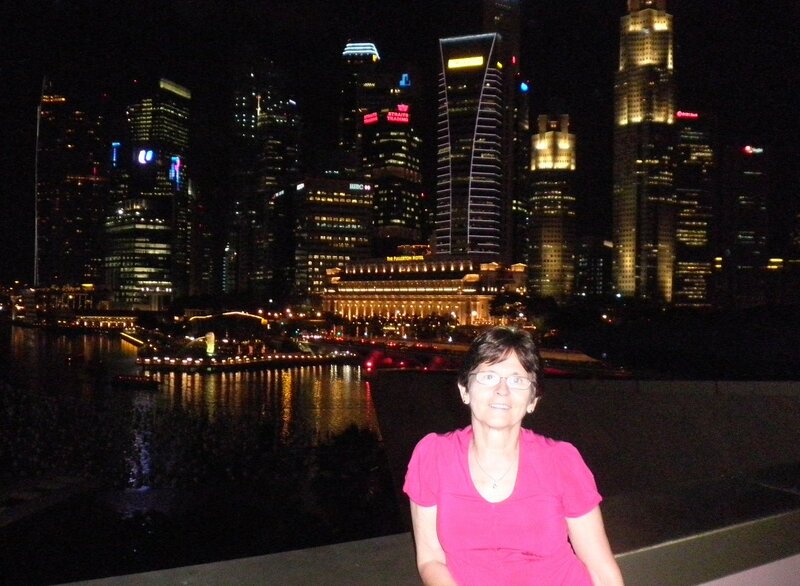 We went for a walk in Singapore yesterday. We strolled to the end of our street and crossed over the road and into a park. At the end of the parking lot was a trail that we followed for about 3 kilometers through the bush. I am constantly surprised by the bush in this part of the world. I am always expecting to be assaulted by mosquitos and other flying insects. 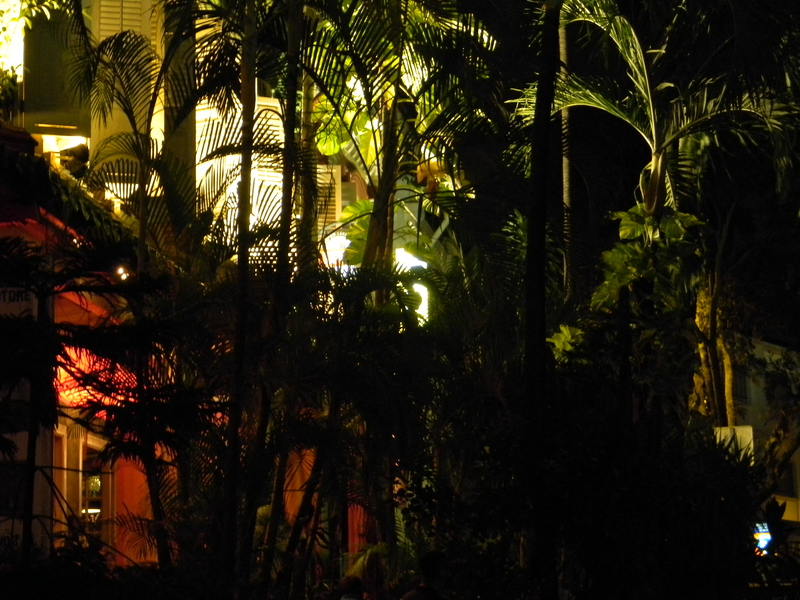 Instead, the air is invariably sweet with the smell of orchids and bug-less. After three klicks we came to a ranger station, with decent toilets and a map of the area. After a brief rest to rehydrate, we pushed on another kilometer until we came to cable suspension bridge, the object of our journey. There was an attendant on duty to make sure that not too many people were on the bridge at one time, but there was not much traffic and we began somewhat tentatively, but with increasing confidence as we realized that this bridge, like everything in this city, was built to Singapore’s high standards. 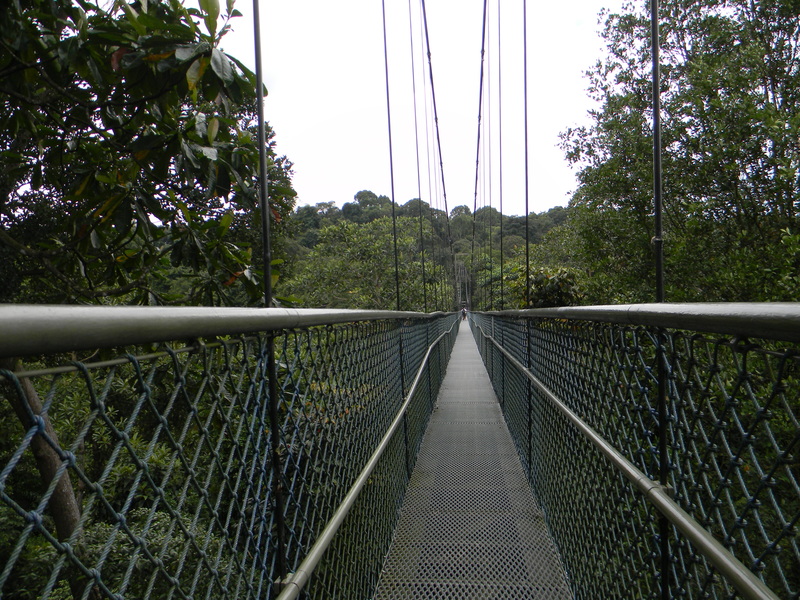 From the centre of the bridge, a hundred feet or more above the valley below, we could see miles in all directions. There wasn’t a building in sight. 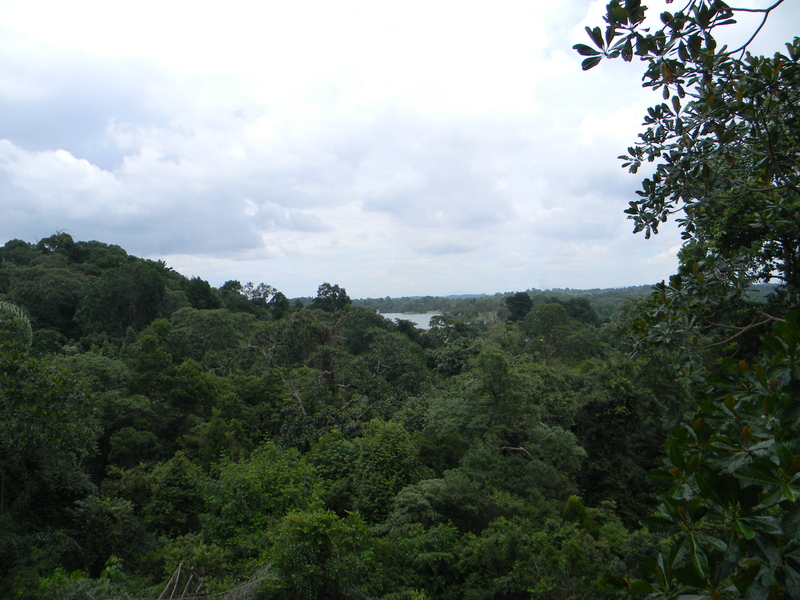 Here in the middle of one the most congested cities on earth was a wilderness park of quite stunning magnitude (I regret to inform our friends and family in northern latitudes, that it was all a verdant green, with a lovely warm breeze). 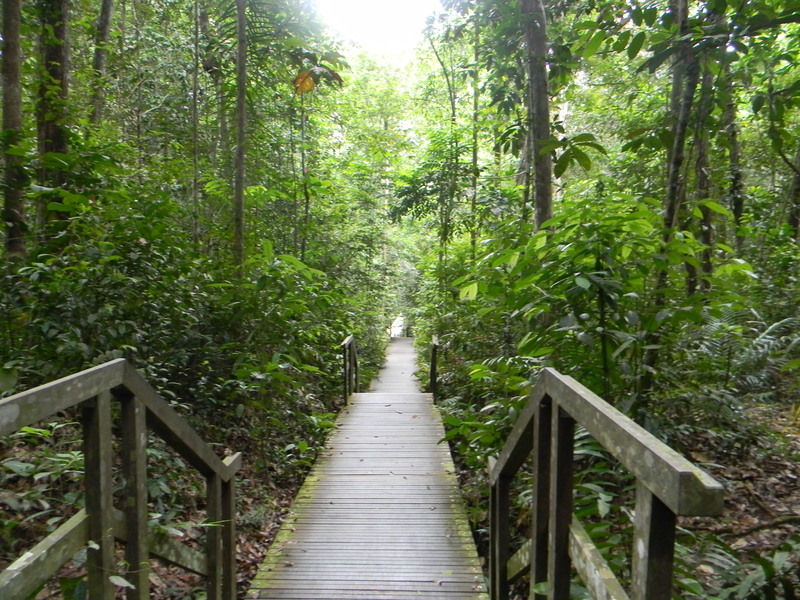 We continued our walk on the other side on steps and a boardwalk designed to preserve the fragile ecosystem. We heard some birds and saw a lizard or two and the inevitable monkeys of course, but no anteaters or aardvarks. A long circle through the bush took us back to the park and a rest at our temporary home. I hadn’t given my feet such a workout in a long time and they badly needed some ice. Suitably refreshed, we caught the 166 bus to St. Andrews in downtown Singapore to check the time for their Christmas service, then pushed on the the Esplanade (known locally as the ‘Durians’ for their spiky appearance) for one of their courtyard concerts; a delightful chorale with excellent diction (not easy for Asians!) and pitch perfect harmonies. 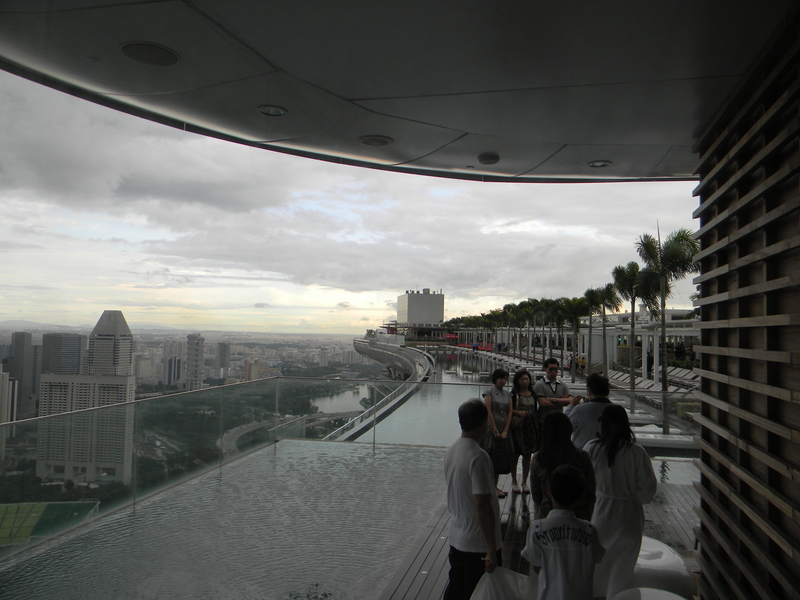 After the concert we went up to the roof to take in the views of Marina Bay and the sparkling new Sands Hotel, then grabbed some pub food and a bus back home. 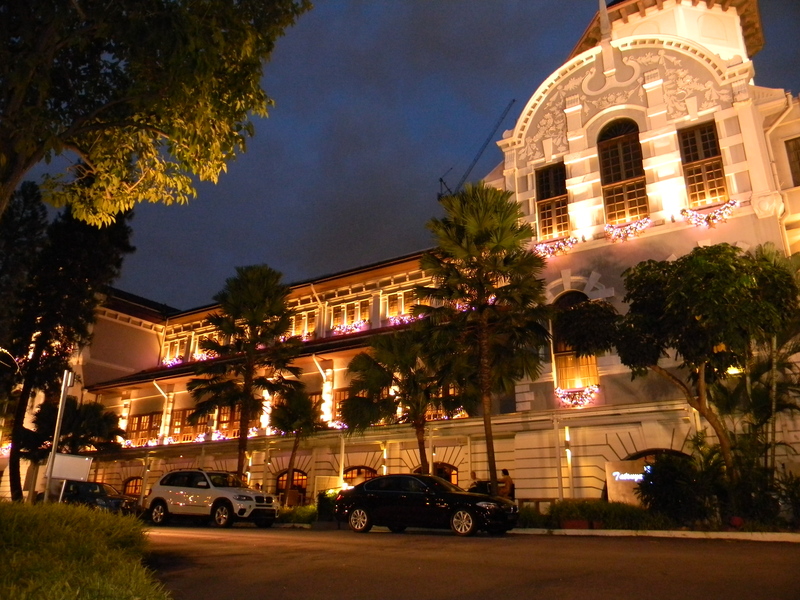 It is that eclectic mix of the pristine and the glitzy that make Singapore such a lively place. Looking forward to the next week. The school break is finally here. In order to earn this break once exams and grad were over I had to endure another three days of enrollment promotion for Taylor’s. That is basically nine hours of non-stop talking for three days about the program to get parents to enroll their kids. There was no time for lunch. Education is a business in Asia, and there is stiff competition. Since our jobs depend upon enrollment, most of us take it pretty seriously. By the time we got on the bus Monday morning I was pretty close to exhaustion, I think I slept for about four of the five hours it took to get here. 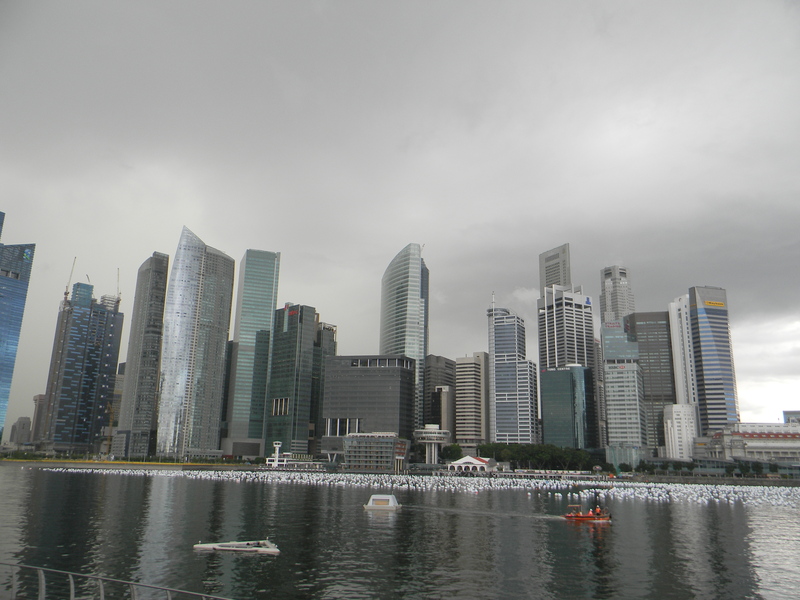 Here is Singapore, the city state at the end of the peninsula. Singapore is everything Malaysia hopes it will be someday. At one point in their history they were part of the same country and shared the same government and the same currency. But in 1965 they went their separate ways. Both have enjoyed success, but Singapore’s dollar is now worth nearly three times what Malaysia’s ringgit is worth, and their standard of living is correspondingly higher. High enough that we could not afford to stay in a hotel here for any length of time. Fortunately, we don’t have to, since we have missionary friends in the city. 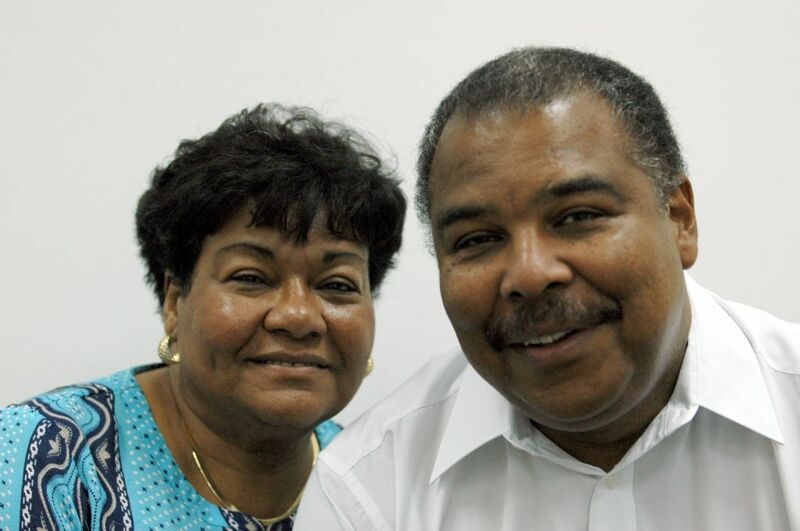 McDaniel and Blossom Phillips have been with Trans World Radio since 1984. At the time we were in the process of going to Bangladesh, they were leaving for Bonaire, and as TWR lay representatives we helped then Canadian director Carl Seyffert organize the fundraising dinner in London, Ontario on their behalf. They served for many years on Bonaire and in Cary then transferred to TWR’s Singapore office and it has been our joy to visit with them on our occasional trips south to this beautiful city. They rent a nice little apartment on the west side of town in a park-like setting that is peaceful and quiet. We like it here. We especially like Blossom’s hospitality. She is a lovely hostess, and her place is always so nicely decorated at Christmas, with wreaths and angels everywhere. Her tree is just gorgeous! Pam and I work so darn hard that there just doesn’t seem to be much time to just relax and enjoy our surroundings. The only way we get any rest is to get away. 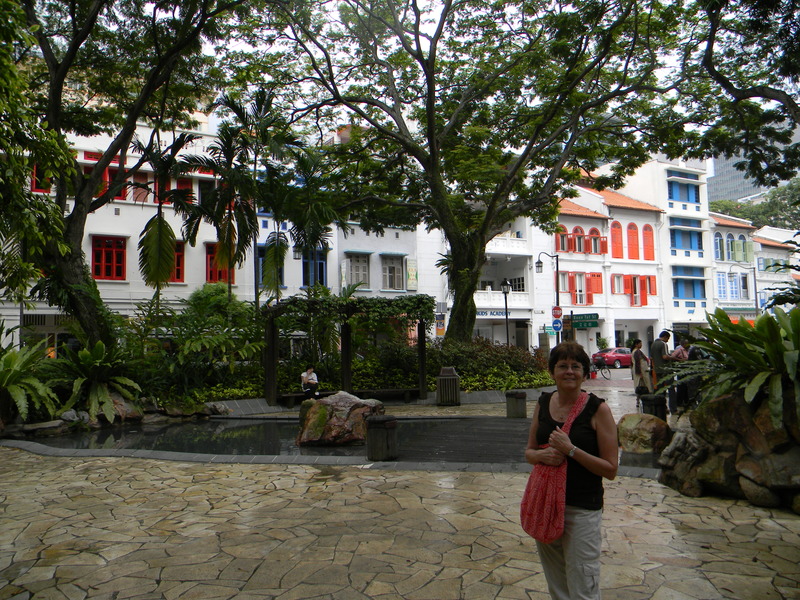 This is a great place to get away to as Singapore is so lovely. The streets are wide and clean, parks and trees abound, buses are prompt and numerous. We can literally walk out of this apartment and within a minute or two be on a bus that will take us all the way downtown. And we won’t have to stand all the way! In KL they have instituted special pink buses and train cars for women so they don’t have to endure being groped while standing packed like sardines on the infrequent and crowded vehicles. Not sure how that is going to work. We are not planning anything special; just do some reading and walking in the parks. Time to talk and refine our vision, time to reflect and be grateful for a life of purpose, even if that life is sometimes overwhelming in its demands. We hope that you also are taking some time for yourselves at the end of the year. We all need to step out of our busy lives once in a while. Happy reading.